At Water Promotions, we bring you the best possible bottled water and widest range of products available. Every component, from our labels to our bottles are carefully chosen to make a lasting impression. 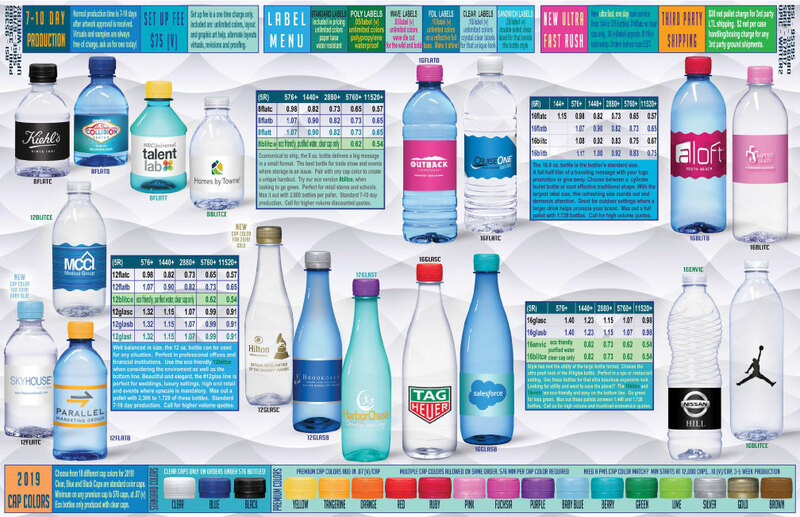 At Water Promotions, we give you unlimited colors on your label. More importantly, we take the time to understand and help you create the perfect label. We offer unlimited art and design services. Using our experience and your input, we help you create just the right look and feel for your custom label bottled water.